So, did I mention I’m going to France? I’ll be visiting Kate at Camont where I hope to putter in her beautiful gardens and go brocante-ing with her sister Stephanie (check out her Etsy shop of fabulous vintage French household goods). I’m going to scritch Bacon the big dog and soak up Kate’s Gascony. It’s paradise. I’m so looking forward to this, although I will miss Dennis and those crazy terriers. But, finally, I’m going to take a post-book rest. After all of it — about three years now — proposal, writing, rewriting and rewriting again. The photo shoots. The edits, the copyedits, the first pass and before the second pass. (That’s publishing lingo. I’m starting to catch on.) Whatever it’s called… it’s tiring. My brain needs to breathe. Saturday, I received a box of bound galleys and just about keeled over. Bound galleys are a paperback copy of the book, sort of a rough set, with the edits from the first pass yet to be incorporated. The bound galley is printed in black and white with a color cover. Sent out as a review copy, bound galleys look real and substantial enough, let me tell you! Jeepers, this book thing is happening. Before that, though, I am going to France, and even though I had a list of pre-travel things to do and I wanted to bask in the whole bound galley-thing, I decided to start a preserving project. I know, crazy. But there are times when an idea is growing and taking up space and I can’t think about anything else but making some flavorful preserved food come together. In this case, it was a collision of mango and coconut and macadamia nuts. I wanted all those flavors together. I had visions of umbrella beach drinks served in Don Ho’s Hawaii. So, I made it. 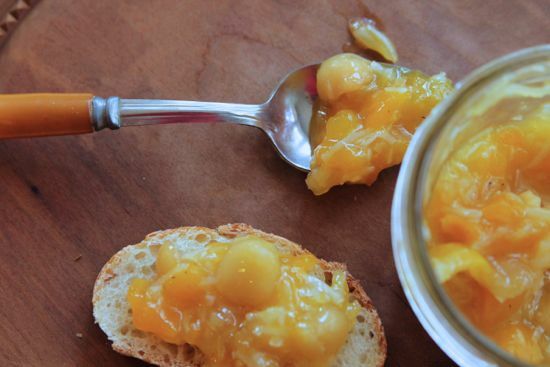 It’s chewy and sweet and crunchy and absolutely wonderful stirred into plain yogurt, on toast, and spooned out of the jar. Let me know what you think. 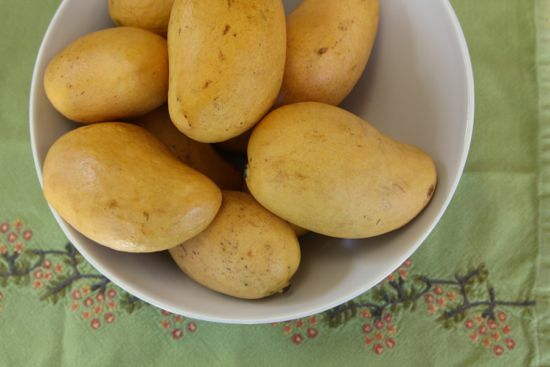 In a large ceramic or glass bowl, combine the mango, sugar, nutmeg and lemon juice and stir. Cover and set aside on the counter for two hours. Place a colander over a heavy, 5 quart or larger preserving pan. I use a Le Creuset. Pour the mixture into the colander, allowing the collected syrup to drain into the pot. Stir the fruit well to extract more syrup, then place the colander into a bowl to catch any additional syrup. Bring the syrup to 220°F. Add back the fruit in the colander. Add the coconut and bring to a hard boil that will not stir down. Boil for five minutes. 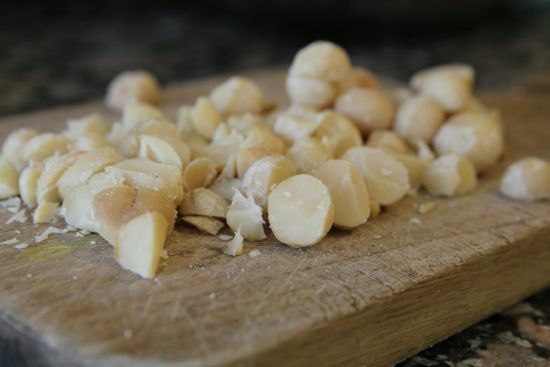 Add the macademia nuts, stir well. Ladle into sanitized half-pint jars, clean the rim of each jar well, place the lid and ring and process for 15 minutes in a boiling water bath. 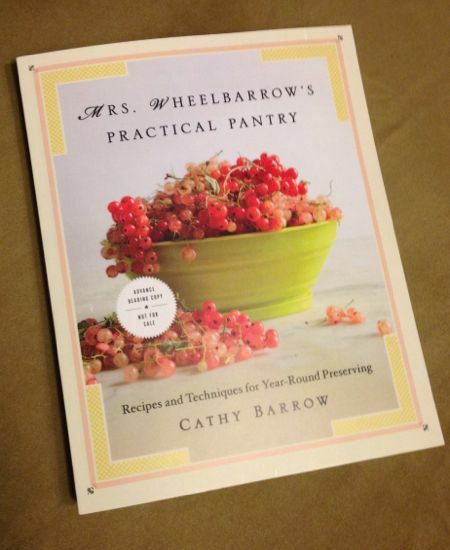 Congrats on your trip to France (and your cookbook, which is at the top of my wishlist!). I was lucky to study abroad in the Loire Valley, and I have such incredible memories of being there. Dreamy. This conserve looks simply fabulous. I think fruit conserves are underrated. Thanks for another great recipe! Wow, how lucky are you! I just read through Kate’s post about her adventure in Australia and am humbled. Look forward to reading a post from you about Camont 😉 Work has kept me away from blog reading- I’m happy to hear your book is close- can’t wait! Finally, the conserve sounds heavenly. Love the cover of the book…can’t wait! Hey Eris, this is the lowest ratio of sugar to fruit if you want the jam to be shelf stable. Any less and it will mold. I made this last night and it’s delicious. 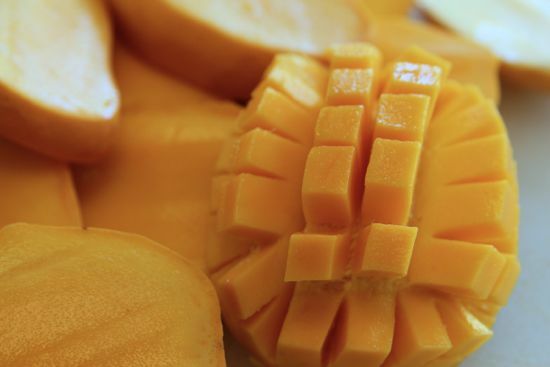 Mine seems a bit thicker- I’m thinking it’s because I didn’t really dice the mangoes so maybe it didn’t release as much juice. It’s good with vanilla ice cream or dark rye toast. I’m thinking of stirring it into coconut milk and making ice pops. I notice you list butter in the ingredients but don’t say to add it in the recipe so I just left it out. What was the butter for?